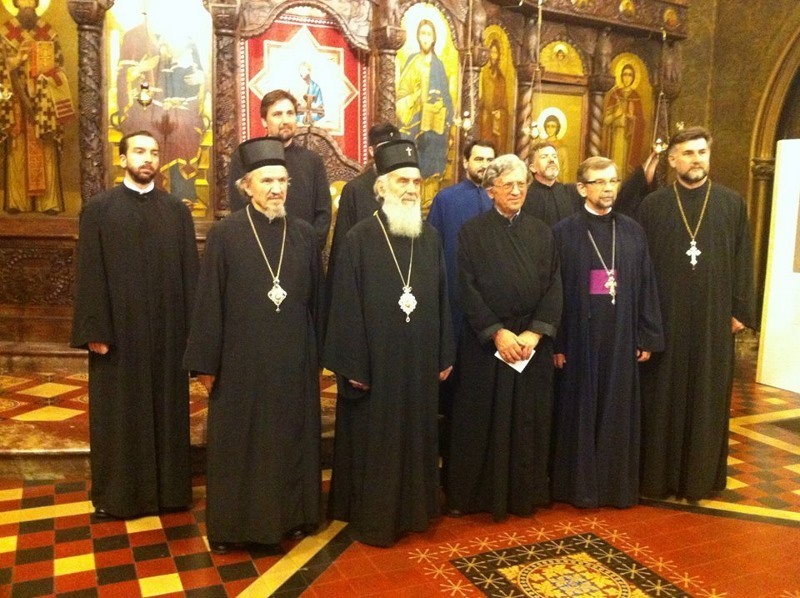 His Holiness Irinej, Serbian Patriarch, attended the evening Vespers service at St. Sava Cathedral in New York City on September 5, 2013. As host hierarch His Grace Bishop Mitrophan of Eastern America welcomed His Holiness after which the Patriarch offered encouraging words to our faithful Serbian people living in their regions that they remain true to their Orthodox faith. 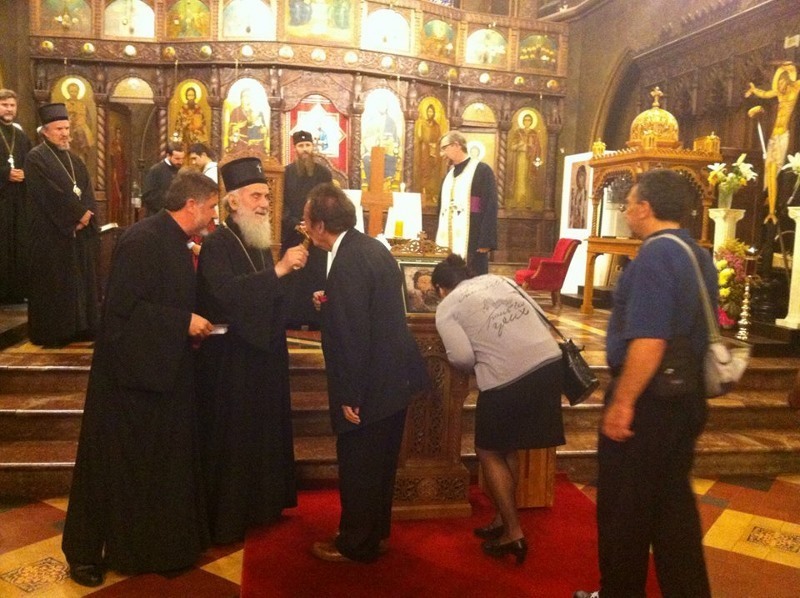 Afterward the faithful received a blessing for the Patriarch. That day the Patriarch also met with Serbian diplomats at the Permanent Mission of the Republic of Serbia to the United Nations. 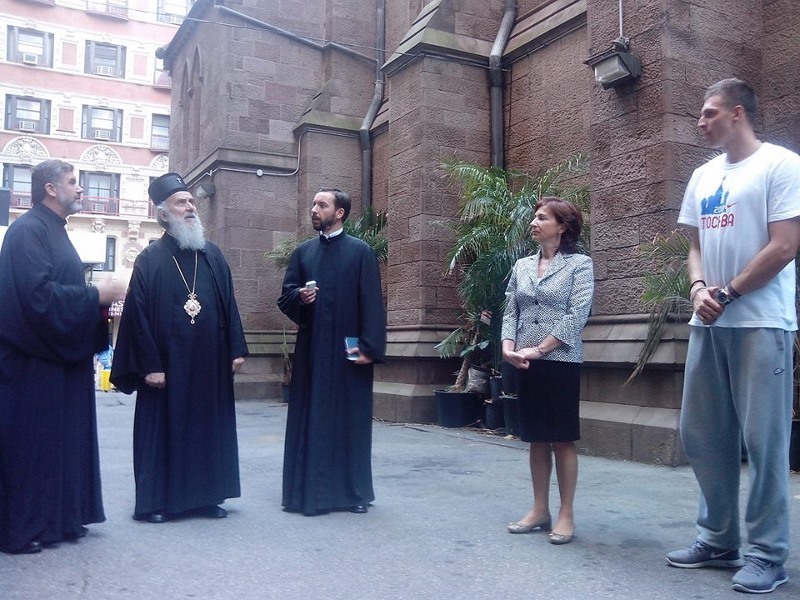 On September 7th His Holiness arrived in Chicago, where he was welcomed by His Grace Bishop Longin of New Gracanica-Midwestern America accompanied by Consul General of the Republic of Serbia Mr. Desko Nikitovic. 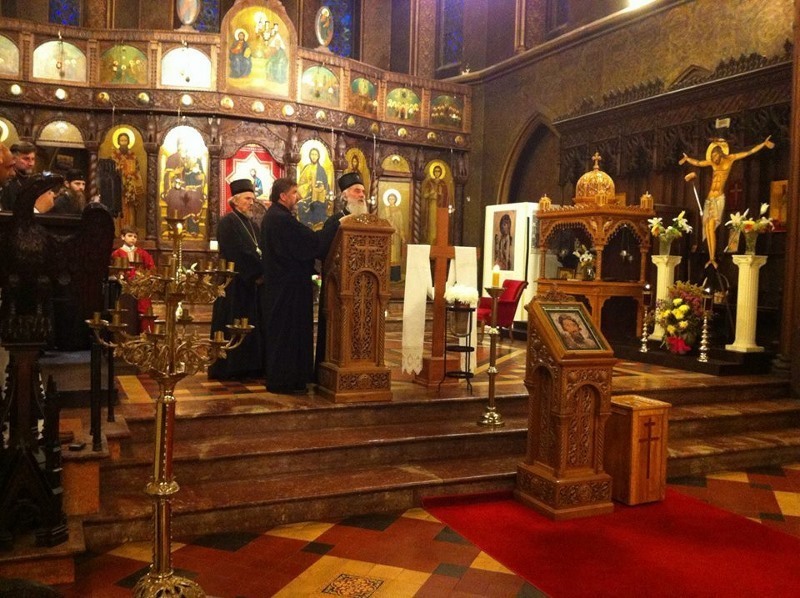 The Serbian Patriarch celebrated Holy Liturgy at the Stavropegial monastery of Saint Sava in Libertyville, as well as Invocation of the Holy Spirit at the beginning of the new academic year at the Faculty of Orthodox Theology at this monastery.